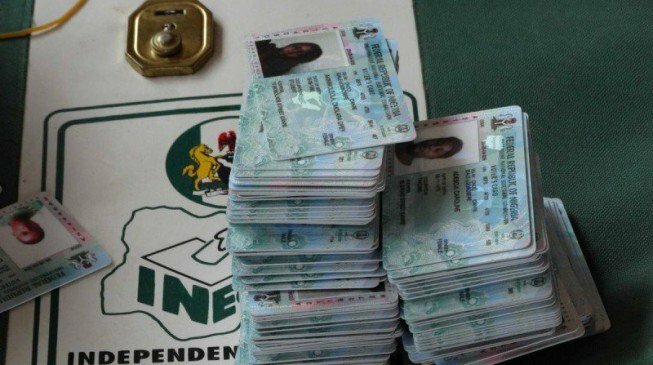 Some voters in Oyo state have reportedly starting using their Permanent Voters' Card as collateral for loans. As the presidential election draws nearer, in Oyo State, the political headquarters of South West, indications have emerged that some women have used their Permanent Voter Cards as collaterals for loans, Vanguard reports. This was disclosed at a town hall meeting with women groups and gender-focused CSOs for enhanced participation of women in elections, held in Ibadan on Friday. This came just as women in the state expressed fears about their security as a result of alleged increased violence among political parties. The programme was organised by the Independent National Electoral Commission, INEC, in collaboration with Educare Trust. Responding, the Administrative Secretary, Mr David Asemo, who represented the Resident Electoral Commissioner, Barrister Mutiu Agboke, said such a person has disenfranchised his or herself already and that the commission is not to blame. He however, discouraged vote buying in the election. Also, the state Director of National Orientation Agency, NOA, Mrs Dolapo Dosunmu said women should shun exchanging PVCs for pecuniary gains, saying those who accepted such offer were only mortgaging the future of their children. In her own remarks, the Immediate past President of the National Council of Women Societies, Chief Mrs Kemi Adeleke advised women to exercise their civic responsibilities in the coming election.